In the recent case of Ackermans Ltd v CSARS the issue of prescribed tax returns was re-visted in the Pretoria High Court. SARS argued that Ackermans misrepresented and failed to disclose material facts regarding the true nature and substance of a series of agreements, which were simulated loans in SARS’ view. Ackermans on the other hand, argued that the additional assessments should be set aside in terms of the Promotion of Administrative Justice Act (PAJA), or declared unconstitutional, unlawful and invalid. As explained above, SARS is indeed entitled to raise additional assessments after three years provided there was a misrepresentation of a material fact. 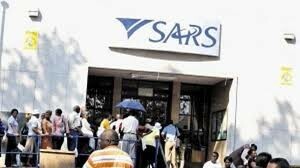 While the legislation is reasonable, one would expect that if SARS became aware of an issue, and enter into correspondence with the taxpayer regarding it, SARS should act within reasonable time. Due to the dispute of facts, i.e. whether all information was provided or not and whether there was a misrepresentation the court held that further evidence was required. As a result, the matter was referred to the tax court. In essence, even if we assume the tax return misrepresented the facts, SARS became aware of it and corresponded with Ackermans until July 2006. SARS should then arguably be under a legal duty to issue the additional assessments either in terms of the Constitution or PAJA. What constitutes a reasonable timeframe is debatable, but five years does seem excessive, which should mean such additional assessments should be rejected.